A basic principal of heat transfer is that heat moves from hot to cold spaces. We absorb infrared heat when we’re colder than our surroundings. We radiate infrared heat when we’re warmer than our surroundings. That’s why infrared is used in incubators for babies – because we absorb infrared so easily, it’s the most effective way to provide us with comfort heating. And that is why infrared thermal imaging is used by the police to find criminals on the run: their bodies radiate infrared heat into the cold and make them easier to find. What makes infrared radiation so special is that it heats the objects and people in its path as opposed to just heating the air. This makes infrared heating much more efficient than convection heating – which is the form of heating used by conventional radiators and oil or gas central heating systems. Convected heat, which is the transfer of heat from one place to another by the movement of fluids, warms the air, which circulates uncontrollably and leaves the fabric of the room cool. Direct radiated heat warms everything it comes in contact with: bringing a lasting, comfortable heat to your home whilst consuming less energy. How does mobile infrared heating work ? Infrared heaters work in a similar way to which the sun heats the earth. Invisible heat rays travel through the air bouncing off the surfaces of objects and that is how everything around us absorbs the heat. Unlike traditional heating, Infrared heating does not dry the air. 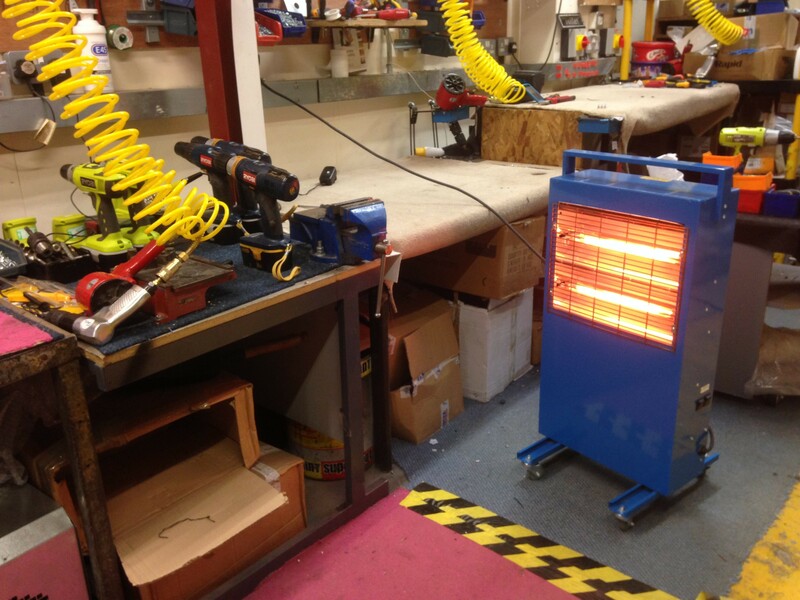 The Flexiheat range of Portable Infrared Heaters are a great addition to your hire fleet or simply a great alternative heating solution for your workshop, building site,warehouse or factory heating. Designed using the latest in airflow and heating technology and are built to withstand the rigours of industrial and commercial use. The “FRG range” of portable infrared electric heaters are an ideal, safe, clean, fume free heating alternative to gas and diesel. These portable infrared electric space heaters run from a standard 230 Volt, 13 Amp electrical socket and feature all new carbon fibre filaments for improved resilience, two heat settings, a reduced glow and a high quality build specification. 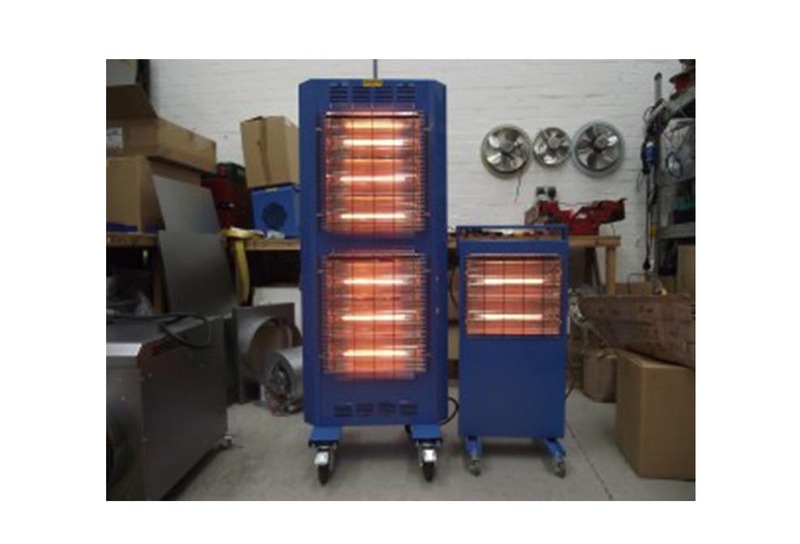 These portable electric infrared radiant heaters are powered from a standard 110 Volt, 16 Amp electrical supply ( commonly found on construction sites ) and feature all new carbon fibre filaments for improved resilience, two heat settings, a reduced glow and a high quality build specification.These infrared heaters are perfect for sites which require 110 volt , such as building and construction sites for safety requirements. 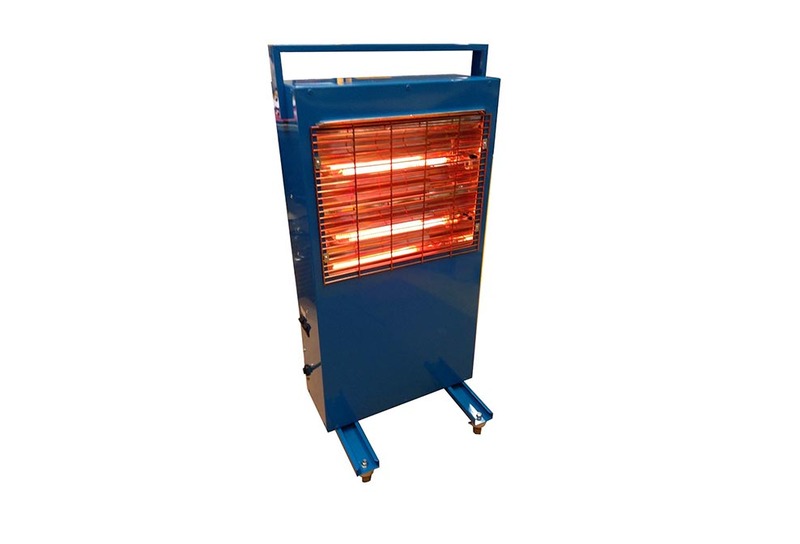 These infrared portable space heaters are powered from a standard 110 Volt , 32 Amp electrical supply and features all new carbon fibre filaments for improved resilience, two heat settings, a reduced glow and a high quality build specification, make these the perfect 110 Volt site heater.